Our little Aussie vodka brought home some fantastic results at its first competition, the Global Vodka Masters held in London. Recognised as one of the most renowned blind tasting competitions in the world, each entry is assessed by specialist judges on aroma, flavour and balance in an effort to win a coveted Silver, Gold or Master medal. Of the two categories entered, we received awards for both! In the 'Rest of World' category (open to anywhere outside of Russia, Europe, Scandinavia and the US) Small Mouth received a Gold Medal – the highest medal awarded in the category for the year. Next up was the greatly anticipated ‘Smooth’ category where Small Mouth took out the very top accolade, a Master medal. One of our aims when we started Small Mouth was to produce a smooth sipping Aussie spirit that displayed a balance between character and purity that was just as comfortable straight up as it is in the freshest of cocktails. Official results from the 8‐strong judging panel seem to agree which makes us as happy as Larry! 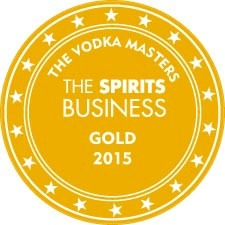 Small Mouth Vodka uses carefully selected premium organic ingredients and a traditional copper pot distillation process in order to achieve a premium, smooth finishing craft vodka made right here in Australia. No preservatives or anything artificial.